The general rule is that if you take in more calories than you use, you’ll gain weight, if you take in fewer calories than you use, you’ll lose weight, and if those numbers are pretty much the same, you’ll maintain your current weight. In reality, it’s a little more complicated than that. Whether you do or don’t want to lose weight is entirely personal, and in any case your weight is dependent on lots of factors, not just your diet. Your activity level, stress levels, hormones, sleep schedule and more all play a part, and counting calories may or may not be a helpful addition to other habit changes. 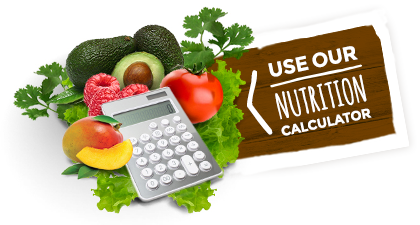 If, however, you find that counting calories is a useful tool for keeping you on track with your goals in a healthy way, then the following tips may be helpful. In order to figure out (roughly) how many calories you should be eating in a day, you need to figure out (roughly) how many you actually need. Start by getting an idea of your basal metabolic rate (BMR). The basal metabolic rate is the minimum number of calories your body burns at rest. Think of this as the bare minimum number of calories you would need to keep your body alive if you were to stay in bed all day. So if you were a 135-pound, 25-year-old, 5-foot-6 woman, your BMR calculation would look like this: 655 + (4.35 x 135) + (4.7 x 66) – (4.7 x 25) = 1,435. They can measure the amount of carbon dioxide you’re expelling and how much oxygen you’re breathing to see how efficiently your body is metabolizing calories. BMR is at the root of the main hard-and-fast rule for safe weight loss: Your calories should never dip below 1,200. What happens if you drop below that number? “When you eat less than 1,200 calories per day, your metabolism can be majorly affected, your muscle mass can start decreasing, and you won’t get the vitamins you need to sustain daily activities. Point is, eating is great for you and you shouldn’t cut out too much of it whether you’re trying to lose weight or not. To figure out how much you should eat for weight loss, you’ve got to factor in your activity. If you want to lose weight, you’ll need to cut calories from your maintenance mode to see results. One pound of fat is around 3,500 calories, and safe fat loss is one to two pounds per week. To lose one pound of fat per week, you’d need a 500-calorie deficit each day. Instead of creating that deficit solely by eating less, White recommends mixing in exercise as well. Beyond taking the pressure off of yourself to curb your eating too much, it’s also just good for your health. This is a good formula to use as a guide, but weight loss is more than just calories in, calories out. There are other factors that affect how much weight you will lose and at what rate. A few of them: your age, because metabolism slows as you get older, your starting weight, because a person with a high one generally sheds pounds quickly, and your lean muscle mass, which can help spur weight loss. Muscle matters when it comes to weight loss. Gaining muscle is a great way to get closer to any weight-related goals you may have, and also feel healthier all around. But one thing to keep in mind: Your BMR will increase as you gain muscle. Muscle is very metabolically active. That means it’s great at burning calories even when you’re not using it. Lean muscle tissue burns more calories than fat at rest. That means if you build lean muscle mass while exercising, you will be able to increase your metabolism—even at rest—which will help you with weight loss. Don’t freak out if you start strength training and see the number on the scale stay the same or go up. If you’re eating healthily, you’re likely gaining muscle, not fat. Since muscle is denser than fat, you can still see the results you’re after—while also becoming more efficient at burning calories—even if the number on the scale goes up. Although calories are important, they’re just one element of eating well. Being aware of your caloric intake can be helpful, especially if you’re trying to lose weight. But experts recommend focusing more on what you’re eating instead of how much you’re taking in. Calories are useful, but they’re not everything. When you eat real food—fruits, vegetables, nuts, seeds, whole grains, dairy, and lean meats—the calories take care of themselves because you get full before you consume too many. Specifically, the fiber in the plant-based food and the protein in the animal-based food send signals to your brain to stop eating before you’ve gone overboard.